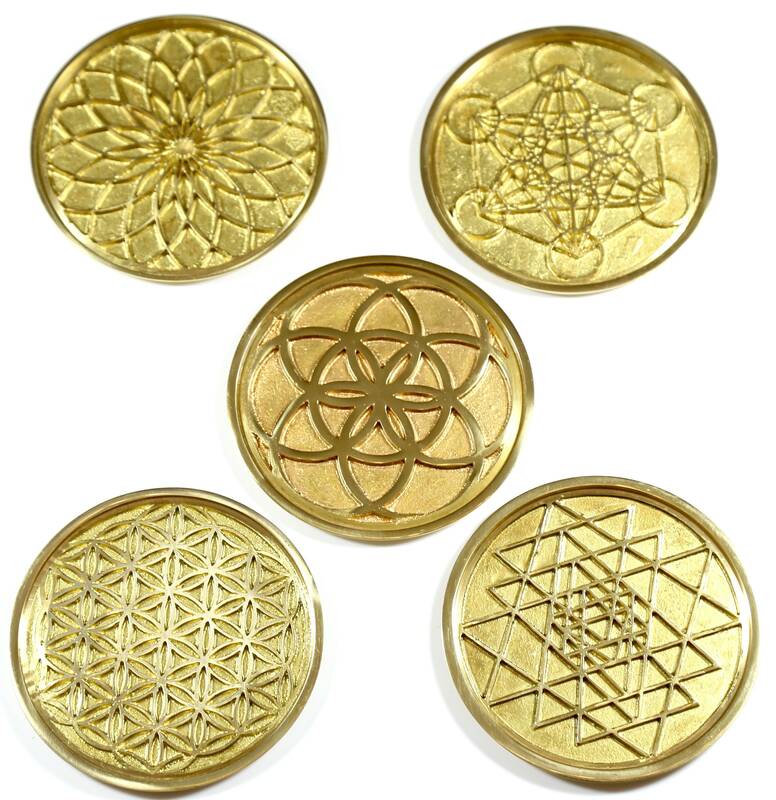 Set of five designer sacred geometry coasters. If you love all 5 Sacred Geometry patterns and want one of each, this sacred geometry coaster set is for you! *To order, choose brass or chrome from the drop down menu.